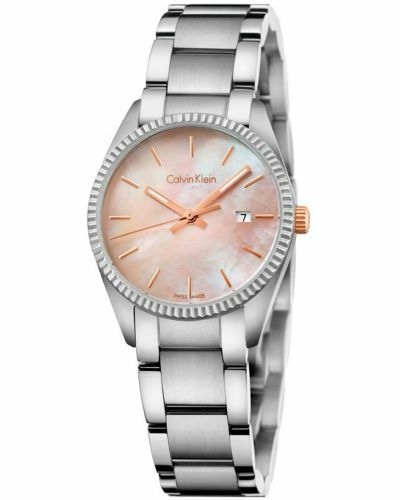 This Calvin Klein watch has a part polished part brushed case and links. The dial is a beautiful Mother-of-pearl surrounded by a fluted matt finish bezel. Highlights of rose gold plating to the hands and crown add to its appeal. 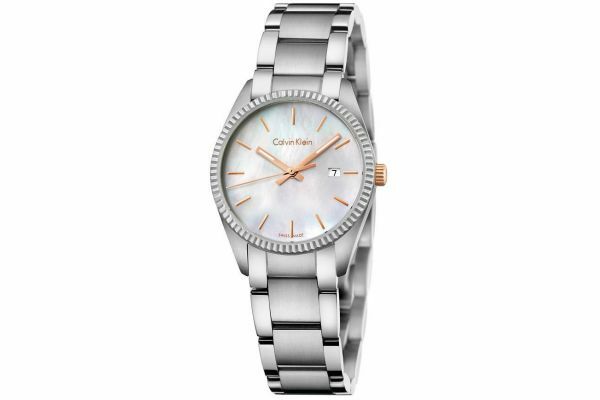 For us to size your new Calvin Klein ALLIANCE watch as accurately as possible, please take a look at our downloadable Watch Sizing Guide.